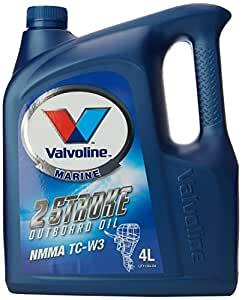 2 stroke outboard engine oil 4l, outboard marine oil, nmma tc-w3, self-mixing, special ash less detergents keep deposits to an absolute minimum. Reduces pre-ignition and piston rings sticking. Protects 2 stroke outboard engines from wear, rust and corrosion.